Daniel Tourangeau and Ivor Gottschalk at Meaden & Moore International will be presenting, “Healthcare Fraud or The Elephant in the Waiting Room” at the ACFI's 21st Annual Fraud Conference on April 30, 2019. It is with great sadness that we announce the passing on Sunday, April 1, 2018 of Arthur Lavigne. 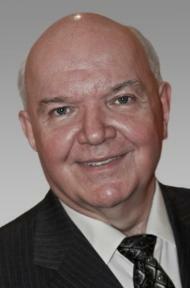 Arthur was a pioneer in the practice of forensic accounting in Canada. He and Emile Bassila co-founded LBC International Investigative Accounting and before stepping back in recent years, Arthur served as LBC’s long-term Managing Partner. With vision and grace, Arthur successfully guided the firm through four decades as a successful forensic accounting firm and oversaw the creation of the strategic relationship with Meaden & Moore. He was a respected and admired leader of the firm, industry and profession. Arthur will be greatly missed. We express our condolences to Mr. Lavigne’s family in this time of profound loss.